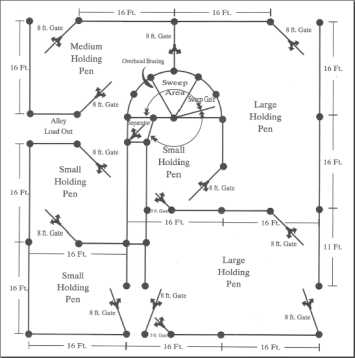 All working pens are constructed from 2-3/8" 14 ga pipe and 5/8" solid rod. Each pen is personally constructed onsite at our shop in Stilwell, Okla, and can optionally be delivered at you request. All of our panels are 5' 6" tall. We have started painting our equipment GREY.